Somebody nominated me for this MDA lock up fundraiser. 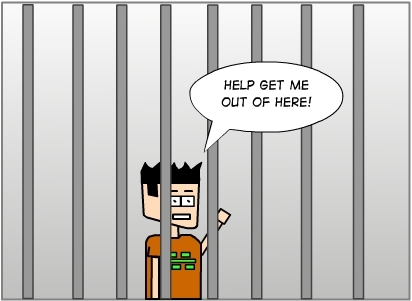 Basically, in a couple of weeks I am going to be “locked up” until I can raise some money for the MDA. Normally I don’t submit to kidnappers demands but this time it seemed like a good cause. Follow this link to donate and help me out. As an added incentive, if I reach my goal of $1800, I’ll do a new bitsmack comic every day for a month!